Open architecture is not a new concept, but only now is it really starting to be realized with regard to access control systems. The basic idea is that an access control system built under an open architecture design will be able to accept and integrate components from multiple manufacturers, making it easy to upgrade and scale without having to start from scratch. 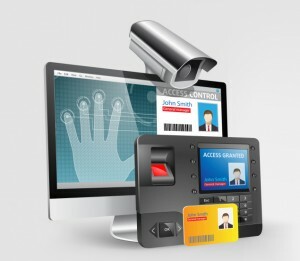 It is the opposite of a proprietary solution, where an access control system is made up of components from the same manufacturer, which work using proprietary software and connections. So why is open architecture the future of integrated access control? Learn more in our blog. Open architecture will vastly improve access control integration. Proprietary access control solutions were once the standard, and remain fairly common. Proprietary systems are marketed as an all-in-one complete solution. While this is true, the problem is that they don’t play well with other proprietary solutions. So if the time comes when the owner of a proprietary access control system wants to make an upgrade, they will find their options limited. If they want to choose a component not made the manufacturer of their current system, odds are it will have trouble integrating into the system. The result is that systems are not able to take advantage of new security technology that would improve their functionality and strengthen the security of the facility. Fortunately, this is where open architecture comes in. Open architecture access control systems are built on components that are built to open device standards. Examples of these open standards include Open Supervised Device Protocol (ODSP) and ONVIF Profile C. Devices built to these standards can integrate easily with each other. This means that access control systems don’t have to be restricted to components from one manufacturer. New systems can be designed with components from different manufacturers to meet the needs of different facilities. These open standards also allow the access control system to better integrate with a facility’s security system as a whole, giving them a more effective role in the building’s security. This entry was posted on Thursday, July 30th, 2015 at 2:22 pm. Both comments and pings are currently closed.